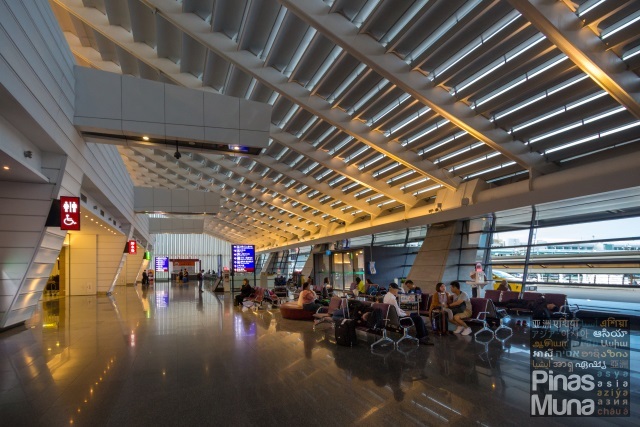 International travelers who would be staying at W Taipei will most likely arrive at Taiwan Taoyuan International Airport. Various full-service and low cost airlines serve daily flights to Taipei from South East Asia. For instance, Air Asia, the World's Best Low-Cost Airline, has daily flights to Taipei from Malaysia (Kuala Lumpur and Kota Kinabalu) and the Philippines (Manila and Cebu). W Taipei is connected to the Taipei City Hall Bus Station and the good news is that there is an Airport Shuttle Bus that goes straight to this bus station. From the Airport Arrival area, head to the Airport Shuttle Bus ticketing office and look for CitiAir Bus ticket booth. Purchase your ticket (NT$145) bound for Taipei City Hall Bus Station. Board Bus #1960. Bus #1960 will drop off passengers at various stops, with the Taipei City Hall Bus Station as the last stop. From the Taipei City Hall Bus Station, you can walk through the perfume section of Uni-President Hankyu Department Store which has an entrance going to W Taipei. 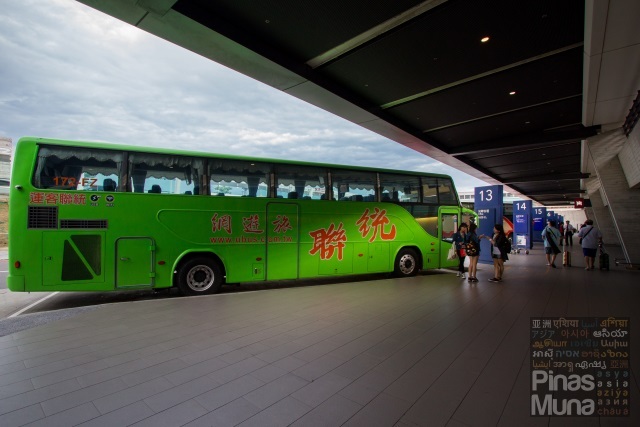 To get back to Taoyuan International Airport, you can take the same Bus #1960 from the Taipei City Hall Bus Station. 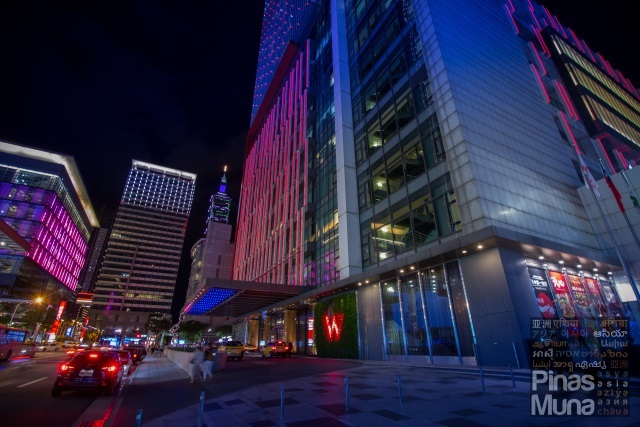 From W Taipei lobby, take the exit going to the Uni-President Hankyu Department Store and walk through the perfume section to get to the bus ticketing booths. Look for the Taoyuan International Airport ticket booth and purchase your ticket (NT$145). 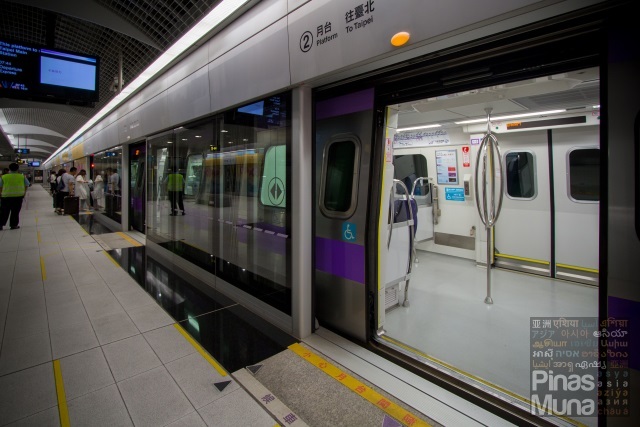 W Taipei is also connected to the Taipei Metro, so an alternative way to get to the hotel from the airport is by taking the mass rapid transit (MRT). From the airport, take the Taoyuan International Airport MRT and alight at the Taipei Main Station. Make sure that you board the Express Train Service (purple train) which has less stops than the Commuter Train Service (blue train). At the Taipei Main Station, transfer to the Taipei Metro and take the Blue Line (BL12) and alight at the Taipei City Hall MRT Station (BL18). At the Taipei City Hall MRT Station, take Exit 2 and go straight into the Uni-President Hankyu Department Store. Take the mall's escalator from B2 to Ground floor. Walk through the perfume section and just follow the signage going to W Taipei. To get back to the airport, take the MRT from the Taipei City Hall MRT Station (BL18) to Taipei Main Station (BL12). From the Taipei Main Station, transfer to the Taoyuan Metro Line and take the Taoyuan International Airport MRT. 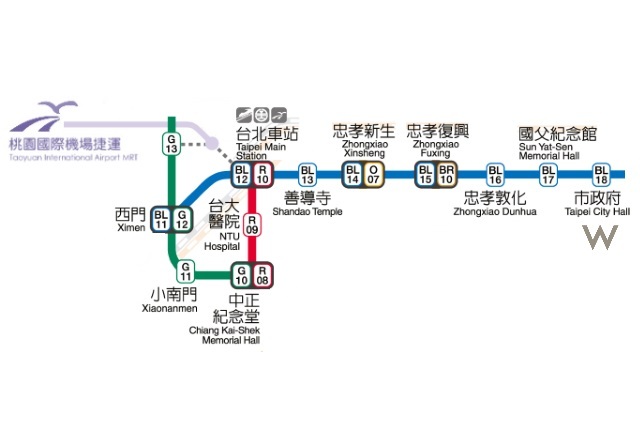 Make sure that you board the Express Train Service (purple) which has less stops than the Commuter Train Service (blue).